Oh, dark chocolate. My antioxidant-rich friend. I love you. This post is dedicated to two friends who inspire me to listen to my inner self, follow my true path and continue eating in a way that feels good for my body (gluten, grain and sugar free). They both made the amazing and conscious decision to treat their auto-immune conditions without drugs, and instead focus on the food they consume. For people who read this blog and eat in a similar fashion, I'm preaching to the choir right now. We know how good one can feel by avoiding certain foods that cause reactions in the body. Once it happens though, it's almost crazy to realize what "normal" feels like. To not have regular headaches and body aches, to not feel bloated after every meal, to feel thinner and lighter. And it's different for everyone. 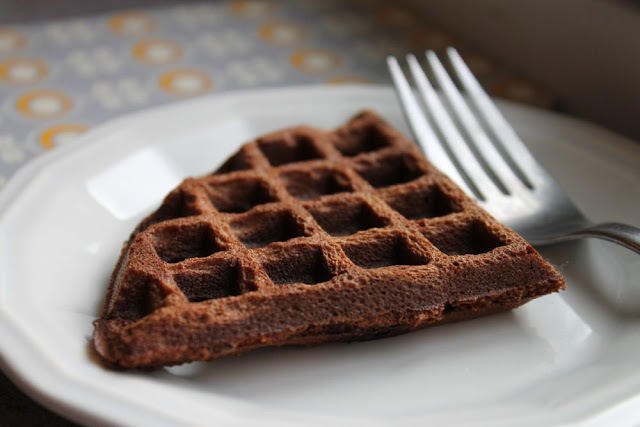 This recipe is aligned with the Paleo diet, where dark chocolate and other sugar alternatives besides honey are allowed. While I generally follow the SCD and GAPS food outlines (where dark chocolate is not allowed and honey is the recommended sweetener). Now that my system has healed a little more, I can digest dark chocolate every now and then. I do want to make the point, however, that I didn't eat dark chocolate for a year- yes a year! And it was worth it to heal my body. You can go without it. But if you can handle it, it certainly is a nice treat. Eat plain, dipped in black tea or coffee. Or top with honey and butter for a sweet and decadent treat.